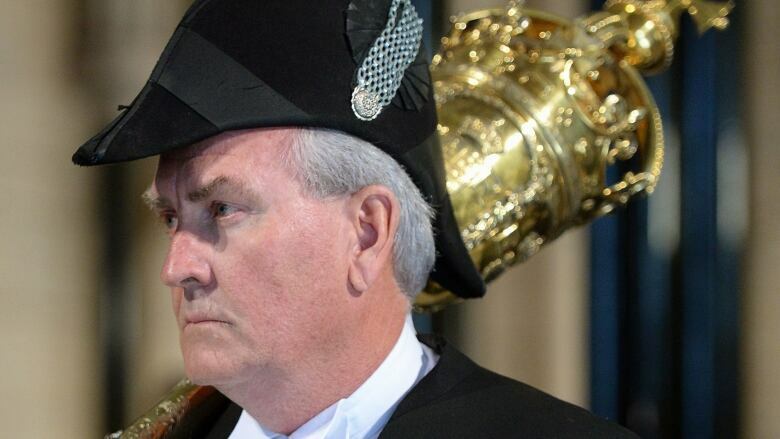 Kevin Vickers, who became Canada's ambassador to Ireland after being hailed as a hero for helping to end the 2014 attack on Parliament Hill, is considering a move into politics. The former sergeant-at-arms of the House of Commons said he's considering a run for Liberal leadership in his native New Brunswick, though he's a "long ways from making a decision." Lisa Harris, Liberal MLA for Miramichi Bay-Neguac, said she met with Vickers recently and believes he would be an exciting candidate for the party's leadership. Former premier Brian Gallant announced recently that he'll be stepping down as Liberal leader earlier than planned, saying the party needs to move on. In an interview from Trout Brook, N.B., Vickers said he wants to carry on the legacy of his father, Bill, who began the Northumberland Co-Op Dairy decades ago.